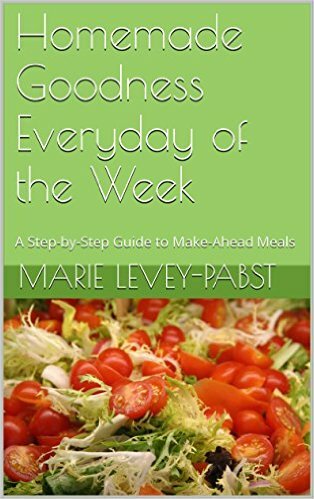 Monday: Recipe Day with Taco Salad! We are swimming in lettuce from our CSA, which requires some creative salad making! 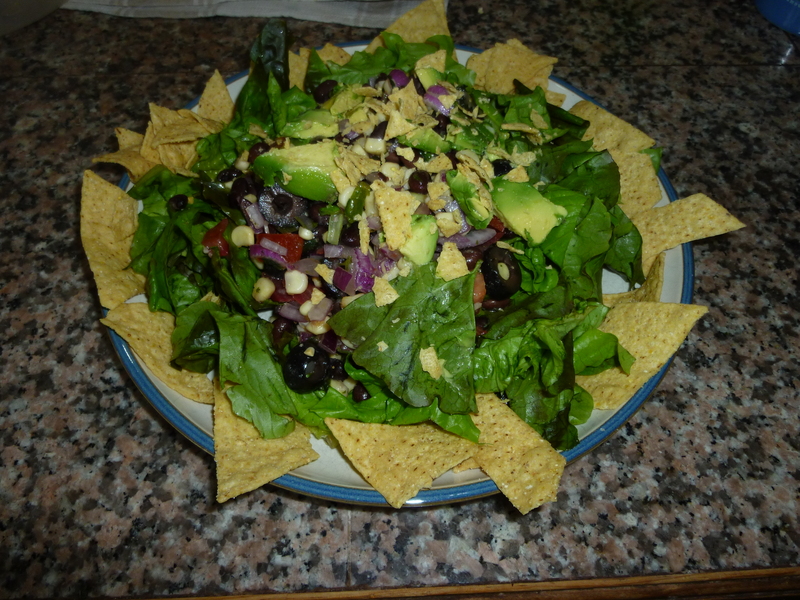 I created this taco salad recipe below as a perfect picnic dish. This was our dinner at the local pond last night, and it was quite yummy coupled with some chips and tomatillo salsa. This salad would also be fantastic with some vegan sour cream, or with some diced green chilies mixed in! 1. Mix the black beans, corn, scallions, red onion and cilantro together. 2. Mix the dressing ingredients, and then mix the dressing in with the beans until all the bean mixture is coated in the dressing. At this point you can refrigerate the salad for a day or so, if you wanted to make it ahead of serving time. 3. Carefully stir in the avocado and olives. Make sure the avocado stays in chunks! Alternatively, you could just “top” the salad with the avocado and olives. To serve put the lettuce on a plate and top with the bean mixture. Have tortilla chips on the side, or on the plate (as seen below). LP had some post-nap yogurt, raisins and crackers, and we also all munched on kale chips before dinner. Dinner: Pasta primavera with spring onions, zucchini and carrot, topped with lemon-basil sauce, with a side of sauteed fennel with fried lemon. Today we enjoyed a walk to the library where I stocked up on some cookbooks, the G-man got some gardening books and LP a variety of books (Including Herb, the Vegetarian Dragon). This afternoon the G-man and LP played outside while mom cooked. They watered the neighbors lawn, LP practiced riding his new scooter (a hand-me-down from a generous neighbor) and had a rollicking good time. And we did this all – without spending money! Tuesday Toddler Update: “Thank you” and “Please”! !